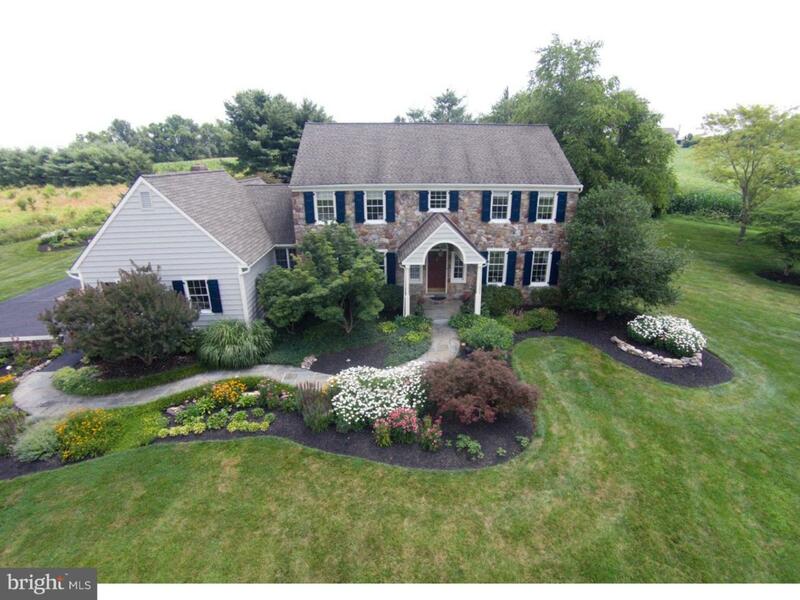 Sophisticated Custom built Stone front Colonial on 1.6 acres of conservancy land in Upper Makefield and surrounded by gorgeous open space. The front blue stone walkway and upscale landscaping lead the way to the 2 Story entry foyer with hardwood floors, upgraded molding & millwork, including raised panel wainscoting, dentil molding, three piece crown molding, all of which can be found throughout. Step down into the spacious Living Room with chair rail, French doors and doors out to the back brick patio. 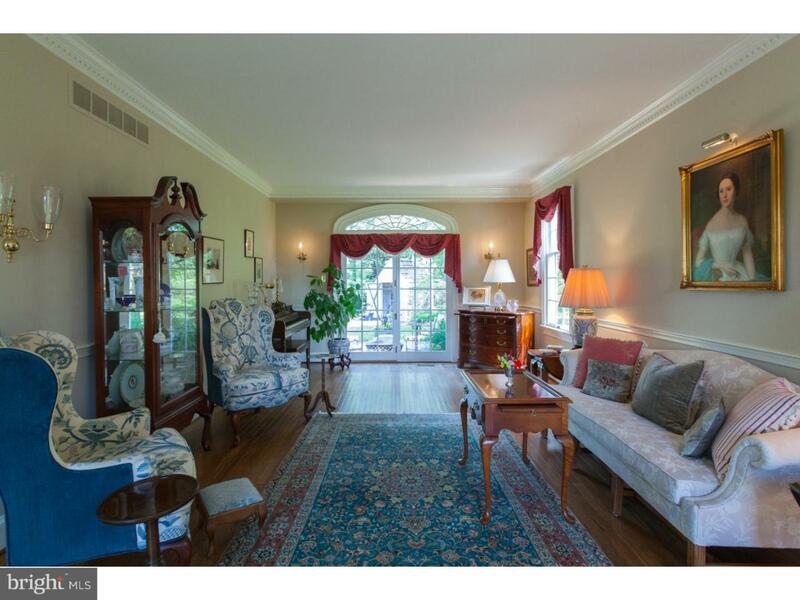 The formal Dining Room is large enough for entertaining and has beautiful tall windows with deep sills. The Kitchen is striking with a custom onyx topped light up island, cherry hardwood floors, granite counters, Miele appliances, gas cooktop and ample cherry custom cabinetry. The bay windowed Breakfast Room overlooking the backyard is open to the cozy Gathering Room with brick wood burning fireplace, built-ins, wet bar and a door out to the maintenance free Trex deck. The Master Suite offers a chair rail, tray ceiling, corner built-ins, 2 walk-in closets and Bath with 2 sinks, Jacuzzi tub and shower. There are 3 additional Bedrooms and a Hall Bath upstairs. The lower level is finished and contains a magnificent repurposed barn wood wainscoting, office space, entertaining space and 2 storage rooms, one with a wall of cabinets. 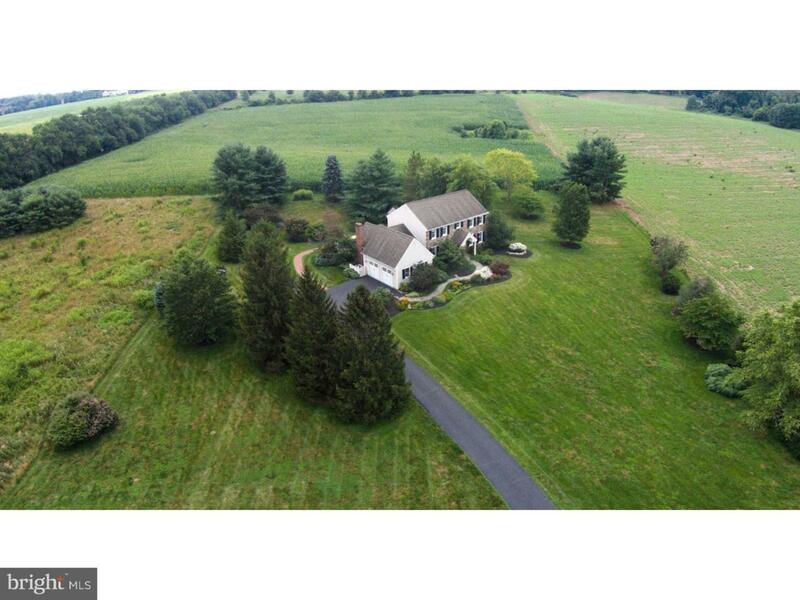 Other highlights; Laundry/Mud Room with cabinets, sink and entry to 2 Car Garage, 10 person Hot Tub, high efficiency house with low energy bills, whole house Generac KW generator, high ceilings, beautiful country views from every window. Owner is HVAC contractor and builder of the home, maintained in excellent condition with numerous upgrades throughout. 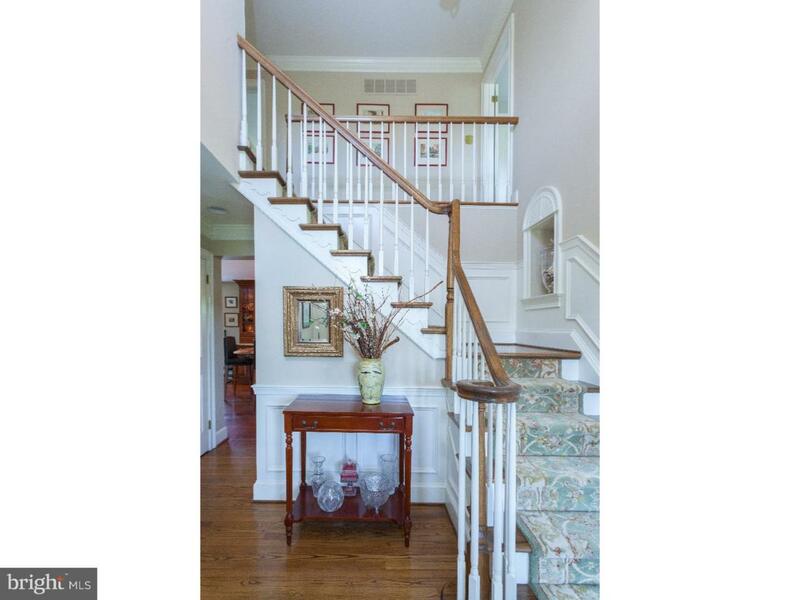 Ideally located a short driving distance from both downtown New Hope and Newtown Borough.